Hi all! Don't forget to enter my Vintage Seashore challenge with your own Bathing Beauty! 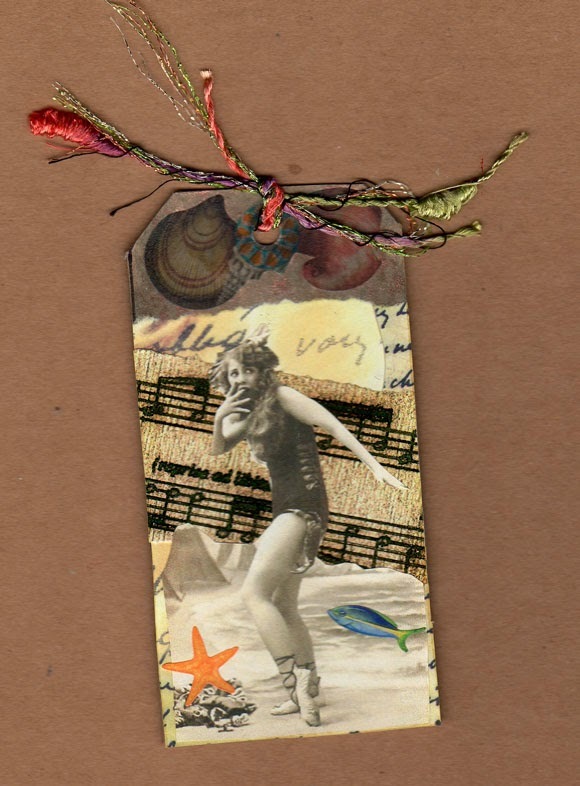 Here is a lovely tag by Michele Storms to inspire you! If you hurry, you can enter your creation in the Beach challenge over at DigitallySweet as well (use at least one digital image or element -- Lunagirl has plenty of vintage bathing beauties you can download instantly). DSC's Beach challenge ends tomorrow -- so sorry I didn't notice it sooner to tell you before now. Also I'll be sponsoring the new DSC challenge tomorrow -- Boys at Play -- a great theme. Go see the really wonderful DT samples over there and join in to win. This vintage beach girl tag is so cute. We have some really charming entries already -- can't wait to see yours! Link up your bathing beauty for a chance to win some store credit at Lunagirl.com. Challenge continues all this week until July 20.